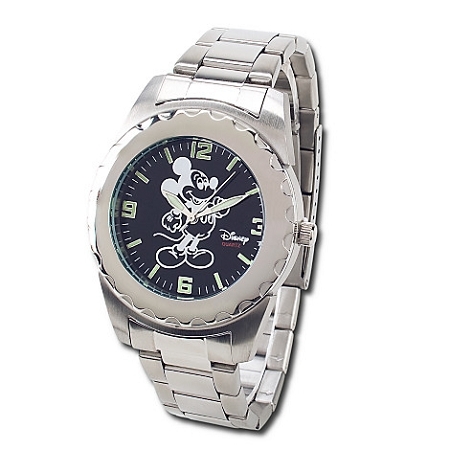 Our most versatile Mickey Mouse Watch! 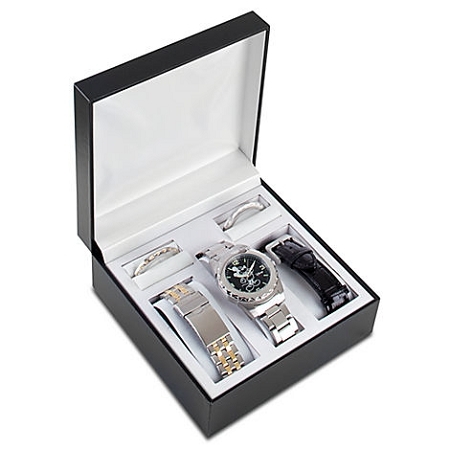 Three interchangeable bands and three bezels go from sporty to casual to elegant in no time. 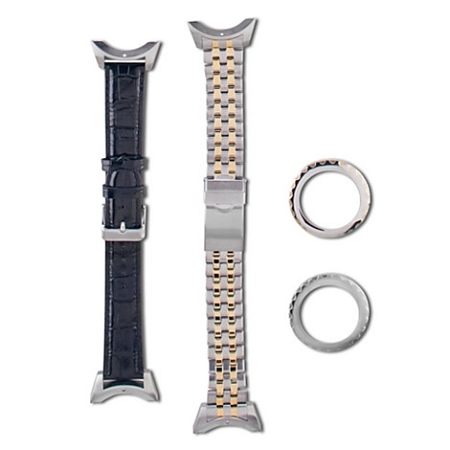 Bands include woven stainless and gold tone, sporty stainless and leather.